Decision Center for a Desert City, Arizona Project WET, Water Resources Research Center and Maricopa County Cooperative Extension from the University of Arizona host a workshop for water educators each summer. Water is more than just a natural resource, it’s a critical component to a sustainable society. Join us to enhance your knowledge about how changes in the world around us can have an impact on future water supply both here in the Phoenix area and around the country. Be the first in Arizona to try out the new tablet-based WaterSim America model that will be part of the Smithsonian Institution’s Museum on Main Street traveling exhibition called Water/Ways and the new Beyond the Mirage web experience. Use the new WaterSim America model to observe how changes in water supply and demand can impact future water users both here in Arizona and across the country. Use the updated WaterSim Phoenix model to understand the complexity surrounding water decision-making here at home. Use the Beyond the Mirage web experience to engage students in learning about Arizona’s water and becoming active stakeholders in our future water supply. 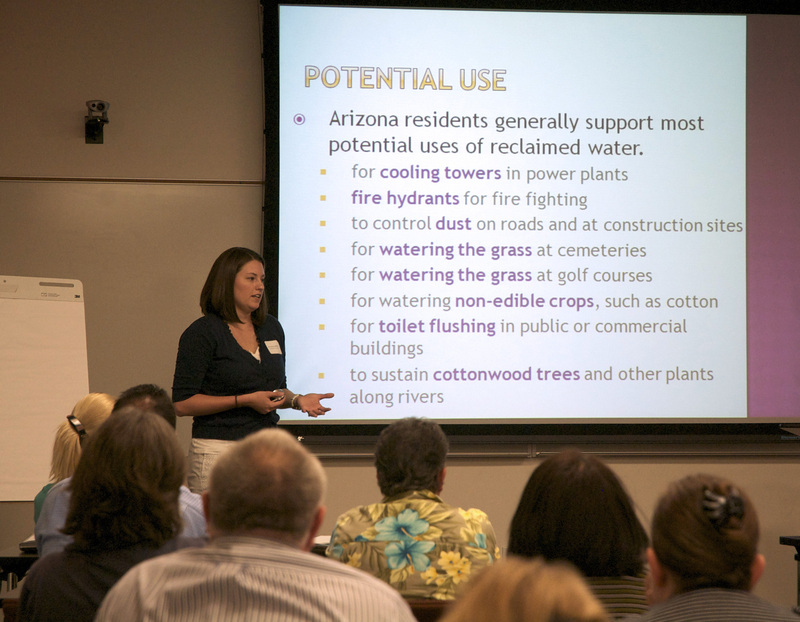 Learn directly from Arizona stakeholders how water decisions impact them. Explore these and other themes as you meet researchers from ASU and the University of Arizona, local municipal and state experts, and adapt materials to enhance your current water education programs. Explore these and other themes as you meet researchers from ASU and U of A, along with local municipal and state experts, and adapt materials to enhance your current water education programs. Activity: Rainfall Impacts on an Urban Stream – Jessica Guo, graduate student in ASU’s School of Life Sciences [Extreme Events Lesson] and [Extreme Events Lesson Presentation]. Join us to enhance your knowledge about how scientists, engineers, and water managers use technology to gather and analyze data resulting in more efficient water use in the Valley of the Sun. Use the new WaterSim modeling lesson to simulate real-world scenarios to manage the Phoenix-area water system with a goal toward sustainability. 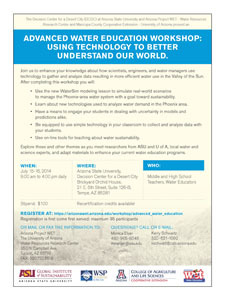 Learn about new technologies used to analyze water demand in the Phoenix area. Have a means to engage your students in dealing with uncertainty in models and predictions alike. Be equipped to use simple technology in your classroom to collect and analyze data with your students. Use on-line tools for teaching about water sustainability. 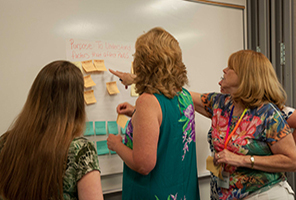 Explore these and other themes as you meet researchers from ASU and U of A, local water and science experts, and adapt materials to enhance your current water education programs. What are riparian system functions? What is the value of sustaining natural riparian systems? How do created wetlands and riparian systems fit into the water resources picture? Making Research Real Through Exhibitions: Links to the water exhibit and making the movie.